I’m using the Linky template, and in the data model I can’t see the “password” field for Users object, as well as can not see any relational tables (e.g. UserViews, UserFriends etc.). Where can I find connections of users visually, in the domain model? the password field is never exposed in the data view for the security purposes. And there is no way for you to see the actual password of any user for that reason. Relational tables are defined on the type level. For example in the user type you create a field “userviews” and choose the field type not as text, number etc. but as another type (a table which already exists in your database structure) you can do so by scrolling down through available field types. Then you can choose fro example “userview” from that list, and that means that the field “userviews” will hold a whole object record from the “userview” table. Thanks for the detailed explanation. I do understand the concept and saw the fields userViews, userFriends, which are reference records to another table. 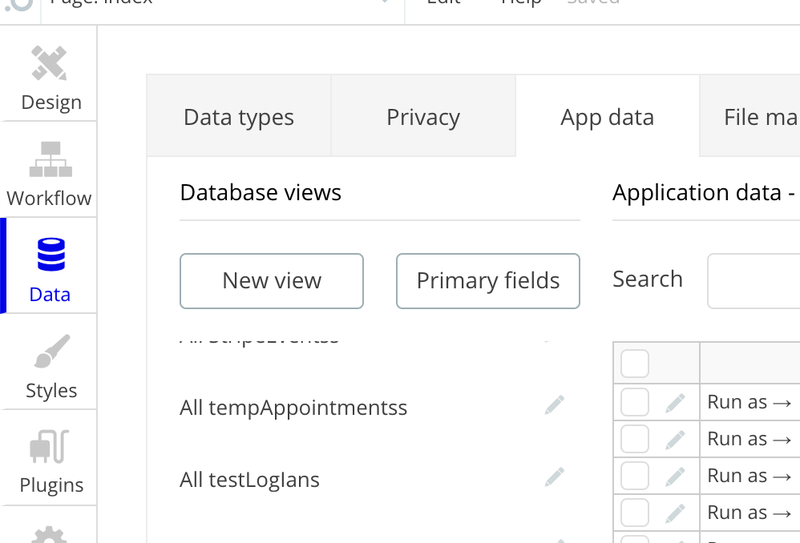 However, what I’m missing is the relationship data in “App Data” section, e.g. for userFriends relationship table. Is there a way to see the actual data, meaning users, and friends listed in other column for that user?